Why do People Join New Religious Movements? There has been an explosion of interest in unusual, novel, untraditional, magical, counter-cultural and Earth-centered religious movements. They have some common features1 and share a number of common pull-factors attract people to new religious movements1. The simplistic answers they give to life questions2 often combined with an anti-science stance3,4. The rise of individualism11 and protections for freedom of belief means people are free to pick-and-choose which religion to embrace. Are Counter-Cultural Religions and NRMs Explained As Reactions Against Christianity? What Causes Religion and Superstitions? Some people adopt new religious movements and alternative spiritualities as reactions against the complexities of science and of scientific reductionism2 (the way in which everything is broken down into physical cause-and-effect factors) and many members of the New Age in particular maintain attacks upon science, calling it closed-minded and limited in scope3,4. Robert Schroëder in "Cults: Secret Sects and Radical Religions" (2007)17 states that people "in today's societies, finding themselves spiritually and morally lost, seek alternative routes to faith and the meaning of existence"18. Anti-consumerism and anti-materialism supply common motives, alongside general disillusionment with Western capitalism & globalisation5. Two scholars who have comprehensively examined modern Paganism state that the rise of interest in Paganism is "a response to an increased dissatisfaction with the way the world is going ecologically, spiritually and materially; people are disillusioned by mainstream religion and the realisation that materialism leaves an internal emptiness" (Harvey & Hardman 199529). But these feelings are also shared by many other traditional and world religions and by secular critics. For example, zany Pentecostal Christianity, also a growth sector in religion, shares these traits. Harvey Cox in his analysis specifically states that Pentecostalism is a response against contemporary materialism, giving expression to "the language of the heart" and supporting "chaotic emotions without suppressing them", and providing people with an "alternative" life, all within a Christian context30. All very similar proclamations to those supporting the New Age and many NRMs. Many NRMs are sourced from the vagaries of human experience, human credulity and introspective emotions: spiritualities where whim and fancy trump historical and scientific skepticism. It is related to what sociologists call "cultural primitivism": a romantic view of a past 'Golden Age' in a pre-industrial world, where a less sophisticated life is deemed more desirable6, less spiritually constrained, and the idea helped along by a sense of mystery aided by a lack of concrete evidence on distant cultures32. Those who adopt "native" mores are particularly likely to have a cultural primitivist outlook33. Escapism and romanticism easily merge with mysticism, attracting many of those who now find Christianity too dogmatic, organised and proscribed. A lack of magic and fantasy in traditional text-based religions has been highlighted by multiple sociologists as causing a gap in the provision of public religion. Monica Furlong (2000)8 describes how institutional religion in Britain from the Reformation became increasingly dogmatic and text-based; reformers made "a world in which text was everything, sign nothing". David Martin talks of "religious frustration with an over-intellectualized" Christianity36. The zealous suppression of supernaturalism made Christianity more abstract and removed. This has produced two opposites; a gradual increase in secularism (as it is supernatural thinking that grants religious legitimacy) and a gap into which non-textual alternative spiritualities has grown. 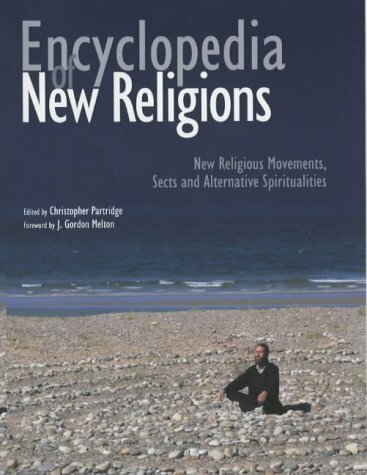 Another scholar of religion, Momen, says that the roots of religion can be removed but "all that happens is that modern myths and rituals replace the traditional ones, for myths and archetypes are an inherent part of the human psyche"9, and Christopher Partridge37 tells us that "many are drawn [to Wicca] by the desire to practise magic"10. These NRMs are rising to cover the supernatural ground that organized Christianity has increasingly shunned over the last few centuries. The rise of individualism and the modern pick-and-mix approach to religion has seen people abandon the concept of adopting a religious tradition that is formulated, structured and archaic in favour of personalized collections of beliefs, some from one tradition, some from another. This approach does not suit centralized or dogmatic religions where doctrine has been worked out as part of an entire theology of existence. Instead, unstructured, new and novel pseudo-religions are embraced where freethought (but not skepticism) are likely to be accepted. Adler (1986) found that of the 6 main reasons American gave for being involved in Paganism, most of them were individual-based including the freedom of practice, the exercise of the imagination, intellectual satisfaction and personal growth40. Areas of popular concern are often taken up quickly by small and new religious movements. Activist causes have found accord with neo-pagan groups and bolstered their numbers and popularity, in particular from the 1970s. As liberal Christians have embraced many of these same concerns41 We can see that they are not the reserve of NRMs but of modern religious liberalism and moral conscientiousness. Pagans are especially into environmentalism, preservation, sustainability and other 'green' endeavours. Prudence Jones writes that "by experience we know that we can be transported into rapture by the beauty of Nature. [...] For Pagans the divine, transcendent powers seem to be present within Nature itself, and by deliberate ritual and contemplation the devout Pagan can make contact with these"(1995)45. A study published in 1986 brokedown the reasons that American Pagans gave for becoming involved, and the positive and green stance on environmentalism was amongst the top 6 most commonly given motivations11. Researchers William Bloom and M. York state that this has also been a strong trend within the New Age; according to York a New Ager "through interdependence and interpenetration, accepts responsibility for the planetary state"46,47. Author Kenneth Rees imagines that we might expect to find that one hundred percent of all Pagans are environmentally-conscious and "professing a green spirituality"48. Neopaganism and Wicca formed strong associations with early feminists. Feminists joining Dianic witchcraft in the 1980s (influenced by authors such as Zsuzsanna Budapest and Starhawk) outnumbered all other kinds of convert in that decade16, and Paganism in general attracts those who are interested in feminist spirituality and goddess worship40. 8. Are Counter-Cultural Religions and NRMs Explained As Reactions Against Christianity? The Christian reaction to NRMs has often been frenzied and maniacal - the phrase "anti-Christian" is used to describe pretty much anything that does not conform to the son-of-god monotheism that Christians and Westerners are used to. But just because a new group is occult, magical, counter-cultural or simply weird, does not mean that it is born in opposition to Christianity. The Golden Dawn, parent to so many occult and (later) anti-Christian cults, itself had "no official stance against establishment Christianity"49 and some members (famously: A.E. Waite and Dion Fortune) even used alternative spirituality to further their own Christian development. Pearson writes that "for many members, there existed no abyss between Christianity and the occult" and indeed throughout the history of Christianity there has existed a strong undercurrent of pagan, non-institutionalized magical practices that have often been condemned from above, even including the authorship of magical grimoires by Priests50, but which has nonetheless existed within underground Christian culture. Aside from esoteric groups, the Celtic revival (including Druidism) amalgamated much ancient Scottish, Welsh, Irish and S.W. English history into a single romanticised (and ahistorical) period51. The influential Edward Williams who wrote under the name of Iolo Morganwg, and forged most his life work (he was discovered by historians who doubted his supposed sources), was a Unitarian Christian. Many Christians adopted Celticism as part of an inclination towards non-dogmatic intuitive spirituality52. The rise of neo-druidism and Celticism is not mainly a protest against Christianity, but often was an expression of soft, popular, Christianity, merely with a Celtic and pantheistic theme (the latter frequently being popular amongst lay Christians who know no better). There are many reasons that people join such movements. When it comes to Wiccans, a relatively well-researched group, it is clear that "a straightforward disaffection or disillusionment with Christianity is ... unlikely to be the main cause of Wiccan membership"53. Likewise with the New Age and all of its disparate practices and groups; William James in 1901, the most recognized scholar of religion of that period, remarks on the volume of Christian-sounding material there was in the New Age (known then, as it was, as New Thought and Mind-Cure),: "Although the disciples of the mind-cure often use Christian terminology, one sees from such quotations how widely their notion of the fall of man diverges from that of ordinary Christians"54. Most must agree that over time, the Christian element has decreased and few now consider the New Age to have anything to do with Christianity. But what is clear is that the movement did not start out in opposition to Christianity. Early Christianity would have been much closer to the New Age, but that modern Christianity has moved far away from popular magical practices to become increasingly sterile and homogenous so that now the New Age seems opposite to it. “In 1976 James Obelkevitch published his famous pioneering monograph upon popular religion in Victorian England [and] used the term 'paganism' to describe popular magical practices [which was] 'not a distinct and conscious movement or organization but a loose agglomeration of religious phenomenon. It was not a counter-religion to Christianity; rather, the two coexisted and complemented each other. This conclusion was echoed by Willem de Blecourt, surveying what is known of cunning folk in Europe as a whole; their work did not reflect a single cosmology, but was made up of the debris of many. [Popular magic and cunning folk techniques...] often contained a large component of Christianity. [...] It is obvious that many [charms] - perhaps the majority - are Christian in character. They quote from the Bible, or appeal to the Trinity, or to Jesus, or to saints. In most cases, to be sure, they are using the trappings and symbols of Christianity with little regard to what churchmen would have regarded as its essence; the Bible, for example, is regularly treated as a magical object in itself. [...] This is, however, a large part of what popular Christianity had always been about, and, something that had caused learned and devout members of the faith to tear their hair at intervals ever since the time of the Church Fathers. Despite the synergy with common magic, there are now some strong anti-Christian elements within modern, 20th--century neopaganism. The practice of low magic has generally become the New Age which is now generally non-Christian in character. Other groups started out antagonistically. The Theosophists started out with a specific anti-mainstream-Christian intent56 and the highly influential Aleister Crowley identified himself specifically with the anti-Christ and wrote volumes against Christianity; according to Pearson this was due to his in rebellion to his strict Plymouth Brethren upbringing57. Wiccans and Pagans repeat the phrase "Never Again, the Burning Times" to justify anti-Christian rhetoric on the basis of horrors that Christians committed against nonconformists during the Dark Ages. Likewise Christian institutions have employed strong condemnations of all things non-Christian using all available forms of communication: it seems that such "anti-language" is part of the normal development of religion. To extrapolate that a particular movements is protest-based because of it, is selective: all religious movements employ such language. 9. What Causes Religion and Superstitions? New religious movements still have many of the same pull factors that established religions have, especially if a NRM becomes well-established in a community and therefore exhibits the same conforming peer-pressures that traditional religions exhibit. Political Power Struggles and Identity Reinforcement: Why are People Religious? Parent page: What Causes Religion and Superstitions? Simple Answers in a Complex World: What Causes Religion? (1986) Drawing Down the Moon: Witches, Druids, Goddess-worshippers, and other Pagans in America Today. Originally published 1979. Current version published by Beacon Press, Boston, USA. In "Belief Beyond Boundaries: Wicca, Celtic Spirituality and the New Age" by Joanne Pearson (2002)1 Chapter 4, p137. (1991, Ed.) The New Age: An Anthology of Essential Writings. Published by Rider, London, UK. (2002, Ed.) 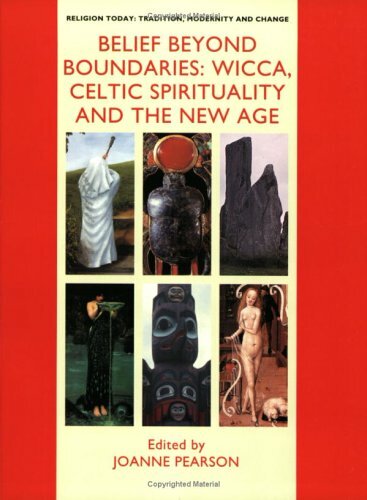 Belief Beyond Boundaries: Wicca, Celtic Spirituality and the New Age. Published by Ashgate Publishing Ltd, Aldershot, UK, in association with The Open University, Milton Keynes, UK. A paperback book. New Religions as a Specialist Field of Study. This is chapter 40 (pages p723-741) of "The Oxford Handbook of The Sociology of Religion" by Peter B. Clarke (2011)3 (pages p723-741). Clarke, Peter B.. Peter B. Clarke: Professor Emeritus of the History and Sociology of Religion, King's College, University of London, and currently Professor in the Faculty of Theology, University of Oxford, UK. (2011) The Oxford Handbook of The Sociology of Religion. Originally published 2009. Current version published by Oxford University Press, Oxford, UK. A paperback book. Carroll, Robert Todd. (1945-2016). Taught philosophy at Sacramento City College from 1977 until retirement in 2007. Created The Skeptic's Dictionary in 1994. (2011) Unnatural Acts: Critical Thinking, Skepticism, and Science Exposed!. Amazon Kindle digital edition. Published by the James Randi Educational Foundation. An e-book. (1992) The Celts: The Construction of a Myth. Published by St Martin's Press, New York, USA. In Bowman (2002) P61-62..
Clarke, Peter B.. Peter B. Clarke: Professor Emeritus of the History and Sociology of Religion, King's College, University of London, and currently Professor in the Faculty of Theology, University of Oxford, UK. (2009) Grimoires: A History of Magic Books. Published by Oxford University Press, Oxford, UK. Davies is Professor of Social History at the University of Hertfordshire, UK. A hardback book. 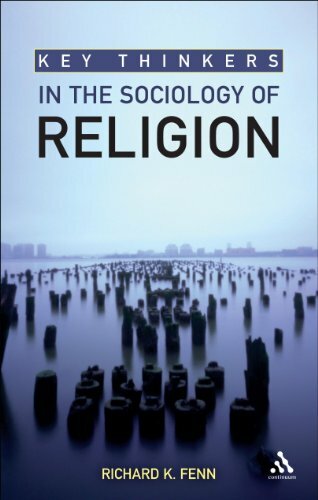 (2009) Key Thinkers in the Sociology of Religion. Published by Continuum International Publishing Group, London, UK. A look at what 11 sociologists of religion think of "the sacred". Be warned that Fenn's book contains one chapter on each sociologist of religion but that his own mystical and specific take on 'the sacred' is heavily intermingled with his commentary - see the book review for a proper description. A paperback book. Book Review. 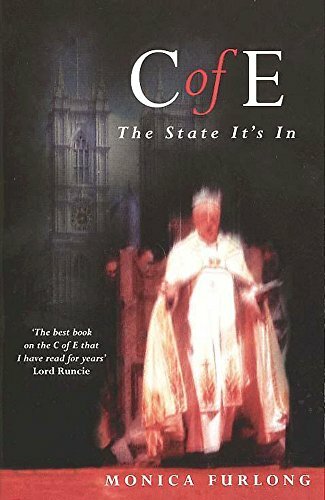 (2000) The C of E: The State It's In. paperback first edition, 2000. Originally published in UK in 2000 by Stoughton. A paperback book. Gardner, Martin. Died 2010 May 22 aged 95. 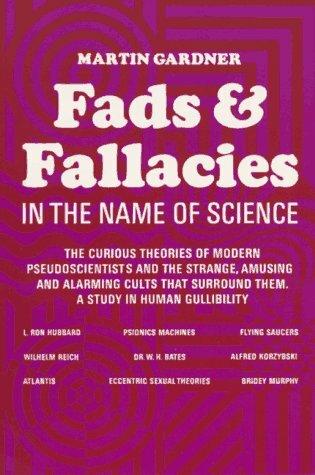 (1957) Fads & Fallacies in the Name of Science. Originally published 1952 by G. P. Putnam's Sons as "In the Name of Science". Current version published by Dover Publications, Inc., New York, USA. A paperback book. (2008) 50 Reasons People Give for Believing in a God. Amazon Kindle digital edition. Published by Prometheus Books, New York, USA. An e-book. 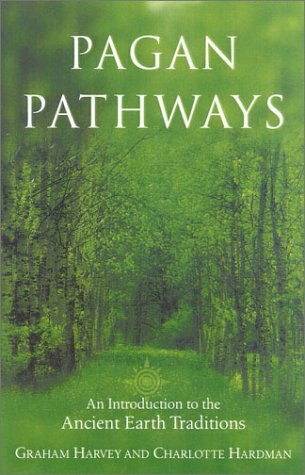 (1995) Pagan Pathways. 2000 edition. Originally published 1995. Current version published by Thorsons. A paperback book. (1996) The New Age Movement: Religion, Culture and Society in the Age of Postmodernity. Published by Blackwell Publishers Ltd, London, UK. A paperback book. 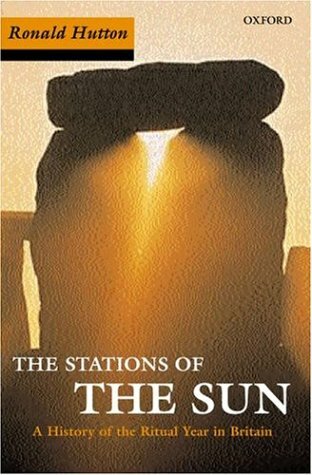 (1996) The Stations of the Sun: A History of the Ritual Year in Britain. 2001 re-issue. Published by Oxford University Press, Oxford, UK. A paperback book. 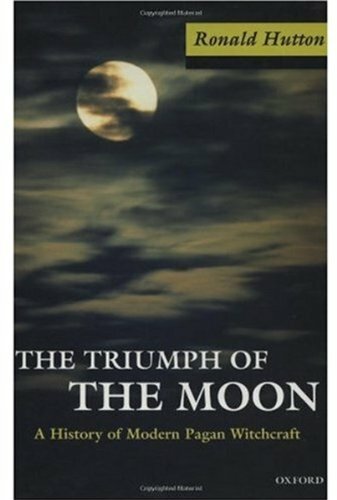 (1999) The Triumph of the Moon: A History of Modern Pagan Witchcraft. 2001 edition. Published by Oxford University Press, Oxford, UK. A paperback book. (1902) The Varieties of Religious Experience. Subtitled: "A Study in Human Nature". 5th (1971 fifth edition) edition. Originally published 1960. From the Gifford Lectures delivered at Edinburgh 1901-1902. Quotes also obtained from Amazon digital Kindle 2015 Xist Publishing edition. A paperback book. Book Review. (1978) Comparative Religious Ethics: A New Method. Published by Harper & Row, New York, USA. 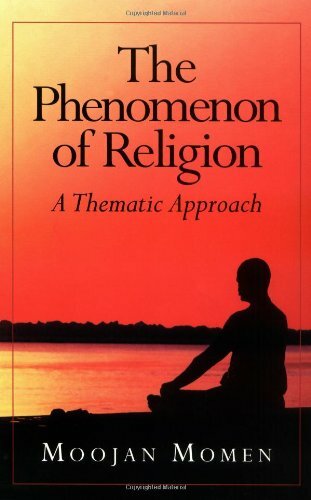 In Reeder (2011) P347..
(1999) The Phenomenon Of Religion: A Thematic Approach. Published by Oneworld Publications, Oxford, UK. A paperback book. Book Review. (2004, Ed.) Encyclopedia of New Religions. Published by Lion Publishing, Oxford, UK. A hardback book. (1991) A History of Witchcraft: Sorcerers, Heretics and Pagans. Published by Thames & Hudson, London, UK. Originally published in 1980. Cited in Pearson (2002)8 Introduction p17. 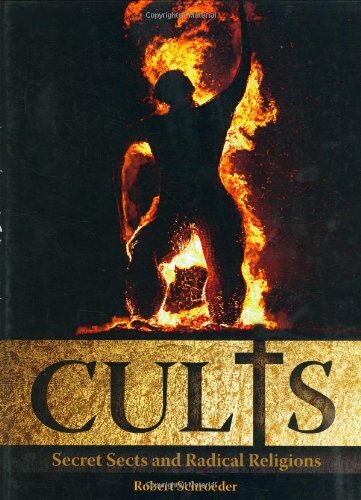 (2007) Cults: Secret Sects and Radical Religions. Published by Carlton Books. A hardback book. (1998) Consilience: The Unity of Knowledge. Published by Little, Brown and Company, London, UK. Professor Wilson is a groundbreaking sociobiologist. A hardback book. (2002, Ed.) Global Religious Movements in Regional Context. Published by Ashgate Publishing Ltd, Aldershot, UK, in association with The Open University, Milton Keynes, UK. This was a religious studies textbook in the AD317 OU course. York, Michael. Principal Lecturer in Cultural Astronomy and Astrology and Director of the Sophia Centre at Bath Spa University College, UK. Previously a post-doctoral reasearcher at the Academy for Cultural and Educational Studies in London. 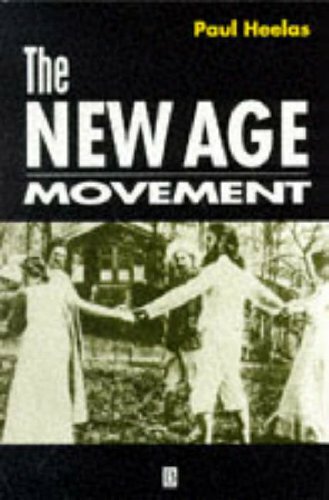 (1995) The Emerging Network: A Sociology of the New Age and Neo-Pagan Movement. Published by Rowman & Littlefield, Lanham, MD, USA. York (1995) P14.. In Main (2002)58. Pearson (2002) Chapter "Introduction" p7..
York (1995) P14.. In Main (2002) P187..
Lovejoy, A.O. and Boas, G. (1965) Primitivism and Related Ideas in Antiquity p7 published by Octagon Books, NY, USA. In Bowman (2002) P61..
Piggott, S. (1993). The Druids p92. Published by Thames & Hudson, London, UK (first published 1968). In Bowman (2002) P61..
Rees (1995) P26-27.. Romance and reconstruction "play a role in the founding of Paganism and in its attraction". ©2018 Vexen Crabtree all rights reserved.